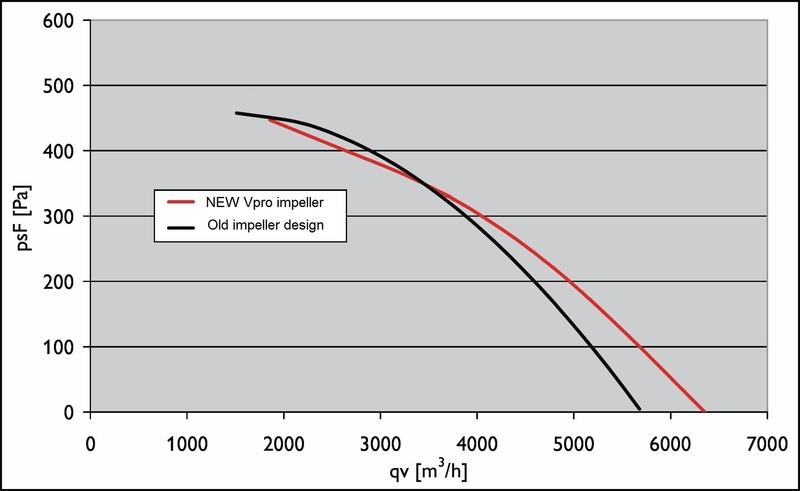 Vpro Impellers Can Save Up To 10dB! Designers of modern buildings need a product they can rely on - it has to be quiet and it has to be efficient. That's why Aerovent has taken the step of utilising Ziehl Abegg's Vpro centrifugal impellers in its Diamond roof mounted and Quartz duct mounted ventilation fan ranges, sizes 280 to 630. 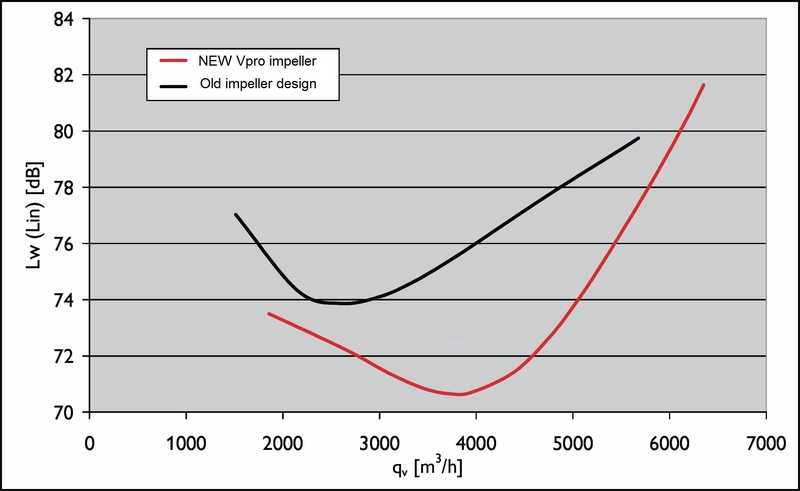 Vpro centrifugal fan impellers utilise a new three dimensional composite design with a true airfoil profile optimised for low noise and increased air volumes. The impellers are moulded from glass reinforced composite materials and can reduce noise emission by as much as 10dB when compared to the previous design which used flat plate curved blades. The combination of Aerovent's quality construction, competitive prices and the superior performance provided by Vpro impellers make Aerovent's Diamond roof mounted and Quartz duct mounted ventilation fan ranges an even more attractive option for builing specifiers and contractors.